When you go fishin' with Phil, you have everything you need to become a superstar angler. 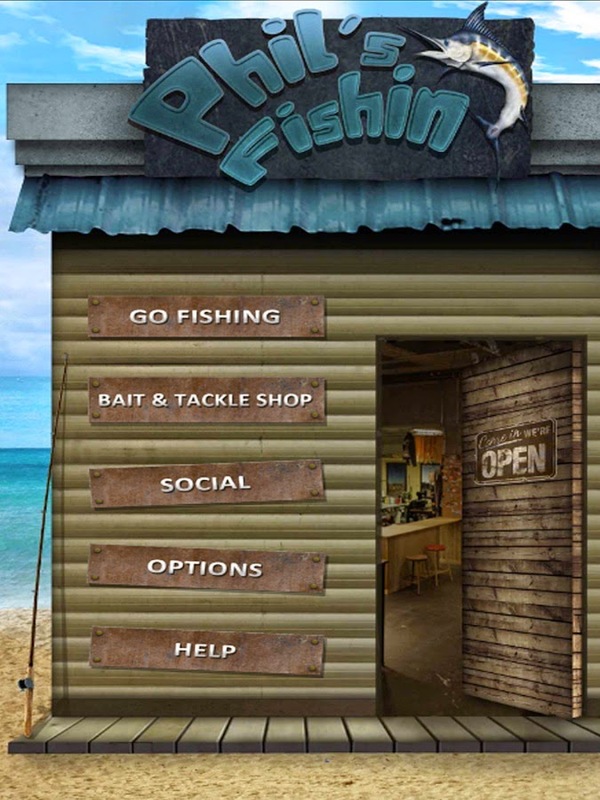 Phil's Fishin is a role-playing game for Androids that's stocked with the best bait and gear. Phil can put you the best boat for your excursion, a Boston Whaler, for example, or Hatteras cruiser. He has fish-finding radar and he can set you up with four different rods and a selection of the best hooks and bait to land your quarry. But first you have to prove that you can handle the advanced gear and that means working your way up the ladder of fishing skills. You have to show that you can handle two rods in a starter dingy before you get to board a professional vessel and head for the open ocean. Once you start landing trophy-worth catches, you can share your success with your friends and qualify for tournaments and prizes. If you're ready to book a charter run with Phil, download the game at the Google Play Store and follow @Philsfishin on Twitter. Follow me on Twitter @ricmanning and read my technology columns at My Well Being. Follow me on . . . Check my latest tweets at Twitter.